Genesis Drainage have been offering drain unblocking in Stroud for 40 years and counting, we specialise and drain unblocking Stroud, drain jetting and also drain surveillance. Our understanding of the drains systems and the different components of the plumbing systems, the technology that we have invested in and our experience makes us one of the best when it comes to unblocking drains. Our high-quality services are available at all times of the day and during any day and you can rest assured that no blocked drain is too much for our highly skilled team of professionals. 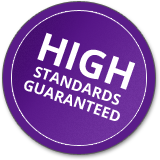 We work in Stroud and the surrounding areas and abide to high code of conduct and ethics to make sure that our clients are always with our work and the experience that we offer. Genesis Drainage works on both commercial and domestic drain unblocking Stroud. We understand that the plumbing for the two fields is different and the demands are different. But, worry not. With us, your problem will be solved in no time and we will be out of your sight before you even notice. We are your best solution to getting back to your life and your office quick. We handle our projects swiftly and always strive to provide quality service to our clients at all times. We try not to cause too much disruption in your place of work since we understand how distressful the situation is already. Also, our teams are professional and friendly and they make sure that you not only have good results from their professional service but also you have a great experience from their friendly services. You can also rely on us on other drain related projects which we also specialise in. these include drain jetting and also drain surveillance which can be essential in detecting blockages and potential problems. Drain unblocking Stroud has been our business for the past 40 years and over the years, we have become very good at what we do. We cover Stroud and all the surrounding areas and our teams are always on stand-by ready to help any client in distress. We hold ourselves to a very high professional and ethic code of conduct and always do our best to offer our clients with the best experience possible. We don’t mind going the extra mile to ensure that our clients are satisfied and happy regardless of how small or big the task at hand is. The best part about our service is, we are affordable and settle for nothing less than quality. Prompt Service – we are always ready to come to your rescue. We work fast and diligently and try to get you back on track within the least possible time frame without compromising on the quality of service that we are able to offer. Our service is available 24/7 – It does not matter at what time trouble strikes, you can rely on us to show up on short notice and help you with drain unblocking Stroud whether it is during the day or night. Affordable and friendly – Not only do we offer you value for your money and offer you competitive rates, our technicians also make sure that you have a great experience for the period that you’re working with us.